Edel Fox is a concertina player from Miltown Malbay Co. Clare. She began playing at the age of 7 and was fortunate to be brought up in an area and environment where traditional music was in abundance. 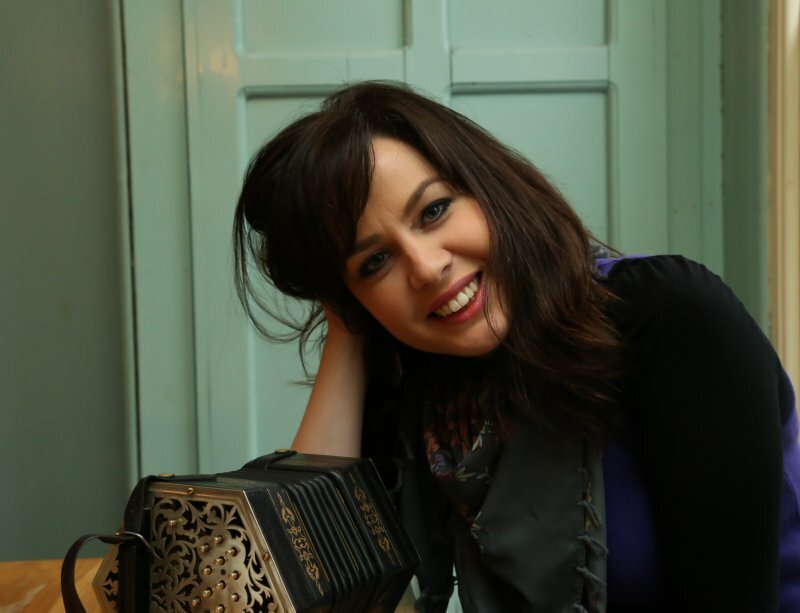 Edel learnt much of her music from expert concertina players such Noel Hill, Dymphna O’Sullivan, and Tim Collins. In 2004, Edel was awarded the TG4 Gradam Ceoltóir Óg na Bliana (Young Musician of the Year) and since then she has travelled extensively as both a teacher and performer of the tradition appearing at some of the biggest national and international music festivals throughout the US, Canada, Europe and Asia. Her popular 2010 solo recording “Chords and Beryls” has gone on to receive critical acclaim. She has appeared on numerous television and radio programmes on RTE, TG4, BBC and has also presented the popular TG4 music programme Geantraí (2010) and her self-produced and directed music programme Croch Suas É (2013). In 2013, she released the recording “The Sunny Banks” with Waterford fiddler Neill Byrne. This CD went on to receive the Tradconnect Album of the Year. Edel has a B.A. in Irish Music and Dance as well as a M.A. in Music Therapy. In 2013 Edel graduated with a Higher Diploma in Léiriú Téilifise (Television Production) from Waterford I.T. She is currently based in Waterford where she works as a freelance TV producer and researcher and is also in high demand as a music teacher.